Volunteer Life in Pictures #25: What the hell are these people doing, you ask? That little four wall thing they are brick-laying is going to be the tiniest school ever, you say? Well, it’s actually a flowerbed! 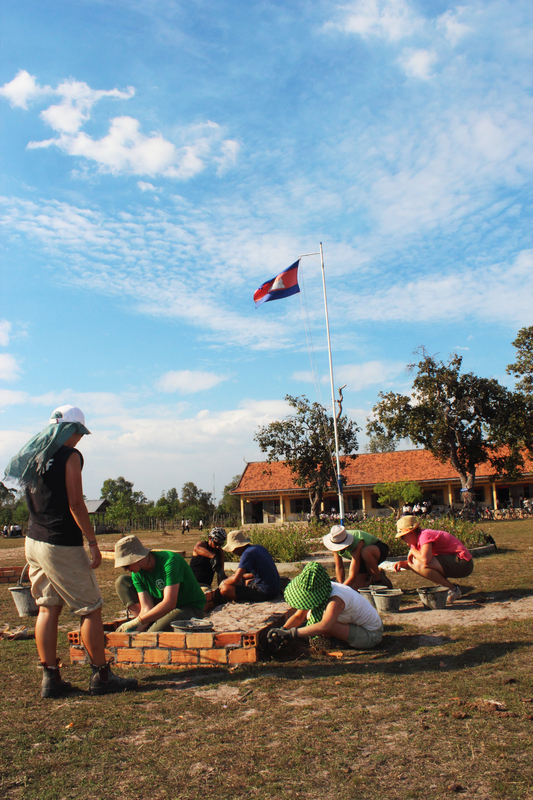 We did five of these, and for most of the volunteers it was their first time mixing cement and brick-laying. Good practice for the real deal, when they started building the walls of the actual school. See, we know what we are doing.